Amazon owes you money and you might not even know it! In this special episode of the AM/PM Podcast, Manny Coats, introduces a NEW tool in the Helium 10 Suite: Refund Genie. Does Amazon send notifications when I am being reimbursed for damaged or lost products? What tool can I use to know the amount Amazon may owe me for lost or damaged products? 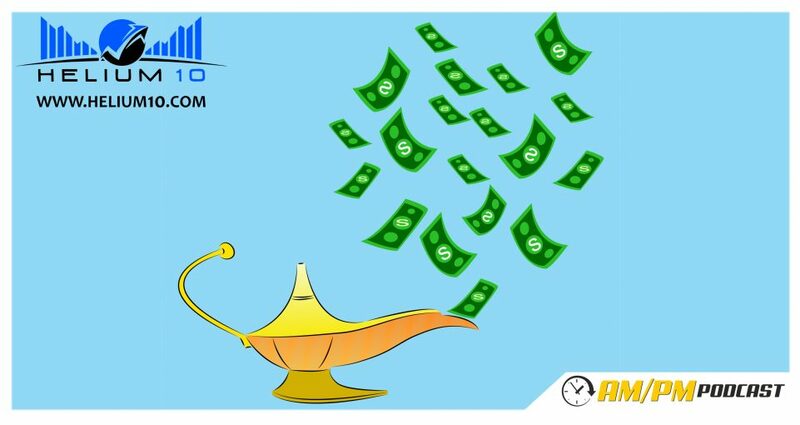 How does Refund Genie work? Is Refund Genie a free service? How will I submit the report that Refund Genie generates to Amazon? What are the features of Refund Genie? How much is the Helium 10 tools worth per month? If I pay $97, am I only getting access to Refund Genie? How many cases should I submit to Amazon? How many transactions should I include per case? How fast can Amazon process the cases I submit and issue the refund? Post a Screenshot of the amount that Refund Genie gives you on our Facebook Page and update and share when you have a chance on how much Amazon did actually reimburse you! Listen to Episode 105: $2.5 Million in Amazon Sales for 2016 – Interview with Regis Friend Cassidy.